Upon arrival, cut 1" off the bottom of the stems and place in cold water. For longer vase life, adding a floral preservative is recommended. Remove all foliage below the water line and place stems at room temperature to open the buds. 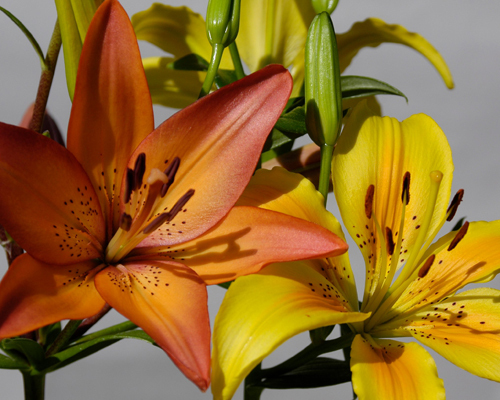 Once the Lily buds open, you might want to remove the pollen, since it could stain your clothes or table linens.